Last event i had a brake caliper pin back out completely, luckily the pads didn’t move. I’ve never liked the pin design, and I’m thinking after dozens of brake changes on this car the pin/caliper might be starting to wear out. For now I’ve replaced the pin with a bolt with two nuts on the otherside (so the bolt is not under tension and the caliper can be allowed to expand and contract). Has anyone else had to overcome this problem? those little cotter pins are tiny and heat fatigue/corrode; good to change them frequently. 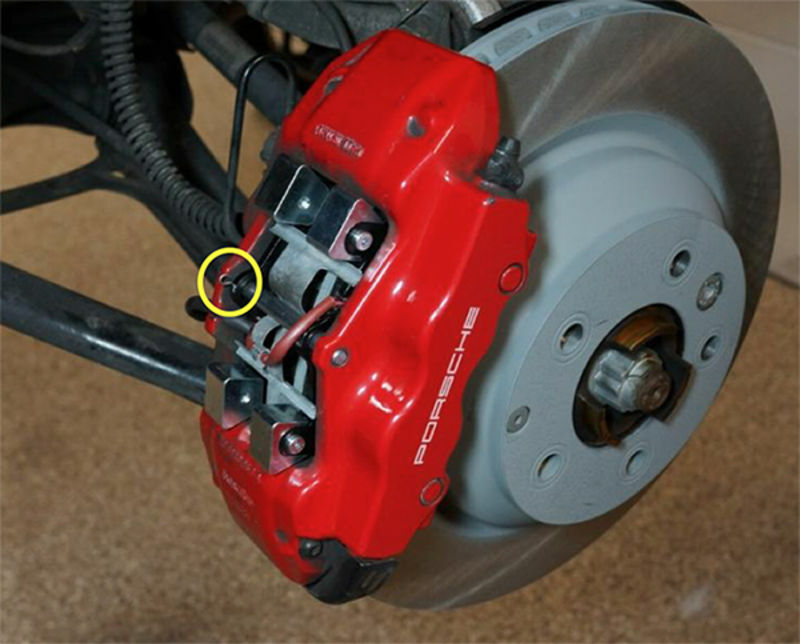 otherwise, i might be wary of fixing the big pin in place like that - you could get shear force on the big pin (pads jacking against the pin under braking) translating into some form of lateral force on the caliper itself if the big pin is not free to float. or perhaps, if not free to float, the big pin might permanently deform when subject to load - good luck getting it out then. or mebbe you are fine, who knows? The big pin isn't in contact with the pads. All it does is hold the spring down. If the cotter pin is checked every time the pads are changed and replaced if its corroded there's no reason why it would fail before the next pad change. That design is similar to the design on the Brembo brakes my Ducati's. After I lost the small R clip on one of my front brakes, I decided to substitute twisted SS safety wire for all of my clips. After thousands of miles on each bike, I never had a problem. The big pin isn't in contact with the pads. I can't for the life of me understand why you wouldn't just safety-wire it? On motorcycles its mandatory: why wouldn't it be on cars? Oh god well I know my problem! I have never seen that cotter pin before 8 years and I never had that pin installed, my car didn’t come with them installed. No wonder I never liked the “factory” design. If you need to get replacements Centric makes a set for under $10 per axle, I think I got mine from r o c k a u t o but somemtimes I get the part numbers from there and check Amazon.